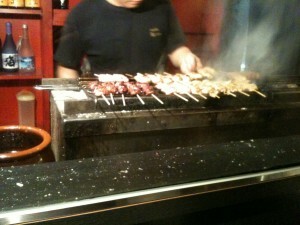 …well, not completely new; I’ve had yakitori before, where it was just chicken barbecued on a skewer. 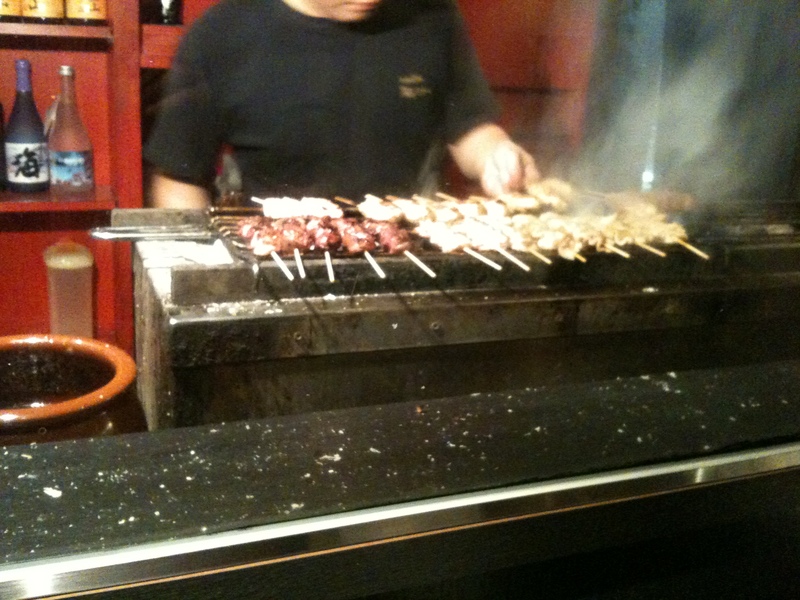 But I’ve never been to an entire yakitori restaurant before. That took things to a new level. It wasn’t just random bits of chicken on a stick; they had something like 25 different kinds of chicken on a stick, plus some other stuff. There were chicken breast, leg, neck or wing on a stick (I think they performed some surgery on the wing preparatory to imapling it, because the bones do not line up that way in nature). There was seasoned pieces of minced chicken, with seasoned salt, black pepper or wasabi on it (these three were my favorites) or with raw egg to dip it into (yuck). This entry was posted on Tuesday, July 31st, 2012 at 2:57 pm	and is filed under new experiences. You can follow any responses to this entry through the RSS 2.0 feed. You can leave a response, or trackback from your own site. Are you sure it wasn’t the fish that was waving?